Visitors to Macau spent MOP61.8 billion (US$7.7 billion), excluding gaming expenses, for the whole of 2014, up by 3.7 percent from the previous year, official data show. Total non-gaming spending by visitors went up last year even as it dropped 13.9 percent year-on-year in the final quarter of 2014 to MOP14.1 billion, show the data from the city’s Statistics and Census Service. Total non-gaming spending by visitors rose and the overall number of tourist arrivals also went up last year, but casino gross gaming revenue (GGR) fell 2.6 percent compared to 2013, according to official data. The new set of data published on Tuesday however show that per capita non-gaming spending of visitors fell by 3.5 percent year-on-year to MOP1,959 for the whole of 2014. Macau welcomed a record 31.5 million visitors last year, up by 7.5 percent year-on-year. Visitors from mainland China accounted for more than 67 percent of the total. Mainlanders were the biggest-spending visitors last year, with outlay on non-gaming products and services of MOP2,354 per head, down by 8.2 percent from 2013. Shopping accounted for most of their total spending, according to Tuesday’s data. 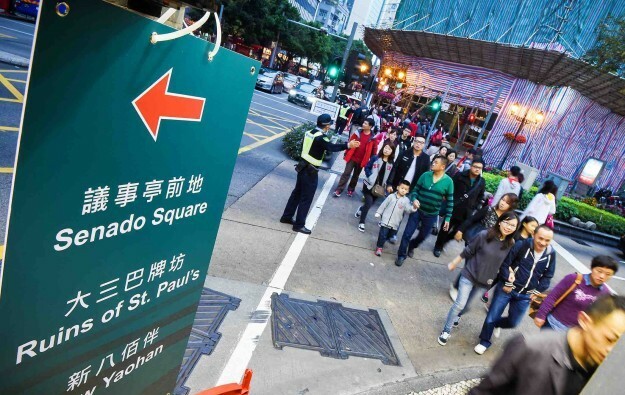 Macau’s Secretary for Social Affairs and Culture Alexis Tam Chon Weng said last week that the government wants to impose a limit on the number of mainland tourists that visit the city to ease overcrowding. The move could impact both the number of VIP and mass casino players that visit the city, analysts at Japanese finance house Nomura said in a note on Tuesday.